Walking toward the witness box, Silva, 21, gave Tsarnaev an extended stare. 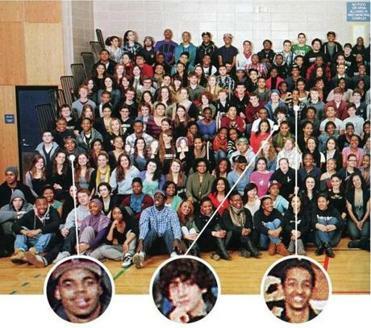 He had been one of Tsarnaev’s closest friends from Cambridge Rindge and Latin High School, and the two have known each other since middle school. They spent hours sitting side-by-side as lifeguards at the Harvard University pool. Their relationship took a dangerous turn when both started dealing drugs, and Tsarnaev allegedly asked Silva in early 2013 if he could borrow his gun, which Silva said he stashed in the ceiling of a Revere apartment. 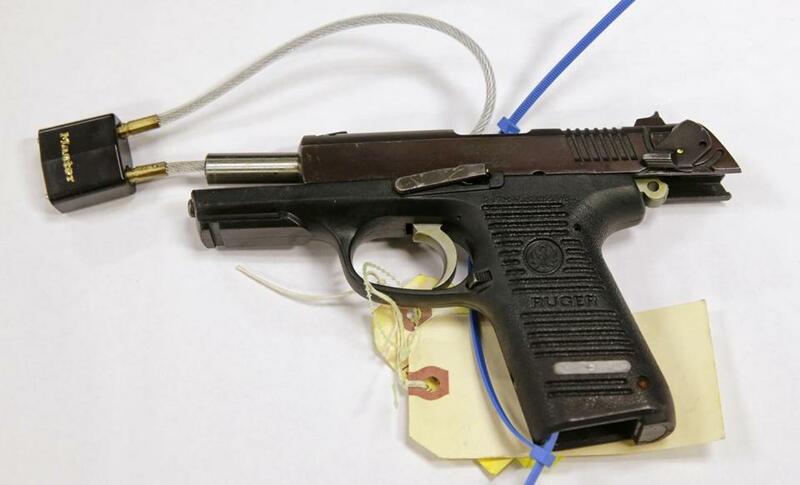 A few months later, Tsarnaev and his older brother used that 9mm Ruger P95 pistol as part of a violent escape plan. They killed an MIT police officer, carjacked an entrepreneur, and engaged in a gun battle with Watertown police officers. After police arrested Silva last summer on gun and unrelated drug charges, he signed a plea deal in December to testify against Tsarnaev; in exchange, Silva hoped, he would eventually receive a lighter sentence. Silva, wearing a tan prison suit, told jurors that Tsarnaev had asked to borrow the gun to “rip some kids” a reference to robbing them. Silva testified about this matter-of-factly, as if that request in their particular social circle was not remarkable. In the 22 months since the Marathon bombings, the loyalty of Tsarnaev’s former friends from high school has disappeared. After loaning the gun to Tsarnaev around February 2013, Silva testified, he kept asking Tsarnaev to return it but kept getting the runaround. Silva said during testimony Tuesday that he loaned Tsarnaev a P95 Ruger pistol in February 2013. Peppered with questions by attorneys on both sides, Silva later focused in his testimony as much on what he thought of Tsarnaev’s personality as on the gun. Prosecutors tried to portray Tsarnaev as a secret jihadist with murderous plans, a depraved criminal worthy of the death penalty. Meanwhile, defense attorneys, who have admitted that Tsarnaev participated in the bombing that killed three and injured about 260 people, say he should be given life in prison without parole, rather than a death sentence, because he was a minor player in the violent plot. Attempting to show that Tsarnaev’s older brother, Tamerlan, who later died in the Watertown shootout, was the dominant force, defense attorney Miriam Conrad asked Silva to explain why Tsarnaev resisted introducing Silva to his older brother. “He said his brother was very strict, very opinionated,” Silva said, and might give him grief for not being a Muslim. Questioned by Conrad, Silva also agreed that he once referred to Tsarnaev as “one of the realest and coolest kids you ever met.” He also testified that Tsarnaev was a good student in high school. “Was he well liked and popular?” Conrad asked. “Yes, he was,” Silva replied . During his testimony, Silva never smiled, though he had his eye on Tsarnaev, who was sitting less than 10 feet away. Tsarnaev frequently looked toward Silva, and sat more upright than while listening to other witnesses. Given Tsarnaev’s prison restriction, it is likely this is the first time since his arrest that he has seen one of his former friends. The prosecutor also portrayed Silva and Tsarnaev as part of a crowd that was increasingly involved in drugs and guns. Silva said he took in up to $2,000 a week in marijuana sales, and that Tsarnaev bought large quantities from him. Some of Tsarnaev’s longtime friends have previously told the Globe that Tsarnaev routinely sold at least $1,000 in marijuana a week while a student at the University of Massachusetts Dartmouth. Silva’s drug business was varied. He started selling marijuana in high school, and later began peddling prescription pills, cocaine, Molly, and whatever “my clientele had been asking for.” He captured the attention of police: In Nov. 2013, he was arrested for selling marijuana in Boston, and last June, Silva was arrested after selling heroin in Medford. 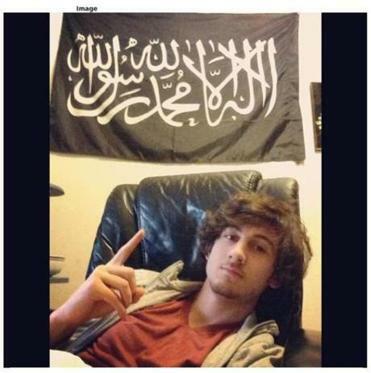 Jurors were shown a photograph of a black flag in Dzhokhar Tsaranev’s home. Silva testified that he had obtained the Ruger gun in 2012 as a temporary loan from someone named “Howie.” He had also been interested in having a gun because his brother had been robbed of at least $6,000 during a drug deal, and he wanted a gun for protection. Silva said he hid the gun in his Revere apartment, but occasionally showed it to some friends, including Tsarnaev. He testified that he also showed it to Dias Kadyrbayev, a University of Massachusetts Dartmouth friend of Tsarnaev who has pleaded guilty to obstructing justice in the bombing investigation. Silva recalled bringing the gun to a New Year’s Eve party in 2012. “I wanted to show it off,” he testified. Last week, a federal grand jury indicted Merhawi Berhe, whose nickname is “Howie,” for possessing a Ruger model P95 9mm pistol with an obliterated serial number sometime in the fall or winter of 2012. Federal officials did not confirm that Berhe was the same person mentioned in Silva’s testimony; however, a person familiar with the investigation said Howie and Berhe are the same person. Silva faces the same gun charges, as well as charges of conspiracy to distribute heroin. In court, he testified that he faces a minimum mandatory sentence of five years in prison, and possibly an even longer sentence, but a judge could sentence him to less time if the government recommends it. Other than Silva and Kadyrbayev, two other friends of Tsarnaev have faced federal charges in connection with his case. Robel Phillipos, a Rindge friend, is scheduled to be sentenced April 6 for lying to the FBI during the bombing investigation. Azamat Tazhayakov, another friend from UMass Dartmouth, was convicted of obstruction of justice. At one point in Silva’s testimony, Tsarnaev’s defense attorneys seemed to try to use the different images of Tsarnaev to their advantage, suggesting that Tsarnaev was highly impressionable, a young man without a strong inner core. Prosecutors objected, and the judge prohibited Silva from answering the question. Patricia Wen can be reached at patricia.wen@globe.com. Milton J. Valencia can be reached atmvalencia@globe.com.